Tourism businesses have more chances than ever to show off their glorious gardens at this year’s Cumbria in Bloom Awards, with a record six tourism-related honours up for grabs. Cumbria in Bloom has been supporting and encouraging businesses, communities and individuals to improve their surroundings for the benefit of both locals and visitors for more than 30 years. Entries have now opened for the 2018 awards, with a closing date of Monday 30 April. Self-Catering establishments, including Holiday Parks. 2017’s tourism-related winners included Windermere’s Cedar Manor Hotel, Holgates Caravan Park in Silverdale and Ann Tyson’s House in Hawkshead. 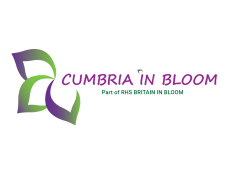 This year’s Cumbria in Bloom judging will take place during the first two weeks of July, and the winners will be announced at the awards ceremony on 20 September 2018 in Ulverston. Cumbria Tourism Executive Board Member, Haydn Spedding says, “As well as being a great asset for local residents, Cumbria’s horticultural offerings are a fantastic draw for visitors and really complement the natural beauty of the county’s coast, lakes and mountains. To enter, contact Elizabeth Auld on lizhauld@gmail.com / 01228 710128 before the closing date of 30 April 2018.